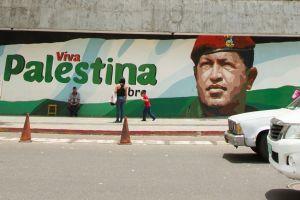 Venezuela and Palestine have agreed to form a binational fund, with the former stumping up 20 million of its state-issued, oil reserves-backed Petro cryptocurrency tokens as an initial stake. 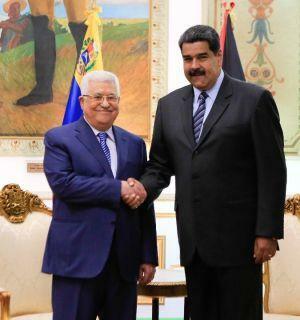 The agreement was formalized at a meeting between Nicolás Maduro, the Venezuelan president, and Palestinian leader Mahmoud Abbas, held in Caracas. The two leaders also said they had established a Venezuela-Palestine business council that would “expand economic, banking, trade and financial cooperation” between Venezuela and Palestine. Venezuela claims that 20 million in Petro is equivalent to USD 1.2 billion, although cynics have poured doubt on the currency’s true worth. The move comes days after Maduro promised to fork out another 20 million in Petro to a “digital cryptocurrency bank” for Venezuelan youth. The country’s government also claims it is still working on its latest cryptocurrency offering, Petro Gold, which will be backed by Venezuelan gold reserves.